REAL DESIRE, by Wanted. Winner at 1450m in Aust. Half-sister to Flying Along. This is her first foal. Flying Along (g Belong to Me) 10 wins from 1000m to 1600m, A$100,830, 3d Canberra RC National Sprint H., L, STC Amy's Freeway Hotel H.
Afforestation. 6 wins to 1400m, A$131,090, STC Franklins Supermarket H., 3d BRC Jae My Holdings H.
Canny Finch. 8 wins to 1200m, A$84,740, 3d STC Hyland Race Colours H.
Empress in Flight. 2 wins at 1400m in Aust. Real Desire. Winner. See above. 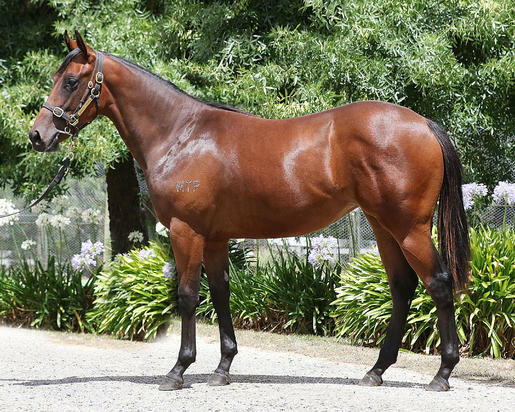 CAPTAIN BAX (g Snippets) 10 wins-1 at 2-to 1300m, A$593,700, STC Missile S., Gr.3, Gosford RC Pacesetter S., L, MRC Kevin Heffernan S., L, AJC Emirates Airline P.H., Scone RC Catbird Quality H., STC Christmas Party at the Races Welter H., 2d STC Premiere S., Gr.2, Clarence River JC Ramornie H., L, 3d AJC June S., L.
SNITZEL (c Redoute's Choice) Second on The 2005-06 Australasian 3YO Classification (sprint). 7 wins-4 at 2-to 1200m, A$1,031,550, MRC Oakleigh P., Gr.1, AJC Challenge S., Gr.2, Up & Coming S., Gr.3, STC Skyline S., Gr.3, AJC Breeders' P., L, BTC Tommy Smith Slipper S., L, Wyong RC Strawberry Hill Slipper S., 2d VRC Newmarket H., Gr.1, 3d AJC TJ Smith S., Gr.1, San Domenico S., Gr.3, GCTC Magic Millions 2YO Classic S., RL, 4th AJC All-Aged S., Gr.1, MVRC Manikato S., Gr.1. Champion sire. Gloriette (f Lonhro) Winner at 1100m in 2016-17, 3d VRC Maribyrnong P., Gr.3, MVRC Valley Pearl, L, ATC Wayne Toogood H.
Grunderzeit (g Street Cry) 5 wins to 1250m, A$291,600, to 2016-17, ATC Ranvet H., Hyland Race Colours H., 3d ATC Canterbury Classic, L.
HINCHINBROOK (c Fastnet Rock) 2 wins at 2, A$590,300, AJC Skyline S., Gr.3, Canonbury S., L, 2d ATC All Aged S., Gr.1, 3d AJC Sires' Produce S., Gr.1, MRC Oakleigh P., Gr.1, MVRC William Reid S., Gr.1, STC Pago Pago S., Gr.2. Sire. Redoutable Heart (g Redoute's Choice) 2 wins at 1300m, 1500m, A$201,320, to 2016-17, ATC Australian Wagering Council 4tracks4kids P., TAB H., 2d BRC Grand Prix S., Gr.3. Za Zi Ba (f All Too Hard) 3 wins-1 at 2-at 1100m, 1200m, A$111,825, to 2017-18, ATC Tab.com.au H., 3d ATC Darby Munro S., L, 4th ATC Fireball S., L.
Viennese Star (f I Am Invincible) Winner at 2 in 2017-18, MVRC Indoor Sports Vic 2YO P., 3d SAJC Cinderella S., L.
King's Troop (c Redoute's Choice) Winner at 1100m, A$109,675, ATC TAB Place Multi H., 2d ATC San Domenico S., Gr.3, 4th WATC Miss Andretti S., L.
Riding Master. 4 wins to 1300m, A$105,870, AJC Lawman H., STC Artegra Imaging H., 2d STC Killawarra Dusk Strawberry Sparkling H., AJC Dubbo H.
Pearly Gate (f Exit to Nowhere) Winner at 2100m, 2d Deauville Prix des Marettes, 3d Craon Criterium de l'Ouest, L, Saint-Cloud Prix Ronde de Nuit, L. Producer. I Am Gracie (f I Am Invincible) 3 wins at 1200m to 2017-18, ARC Ronald McDonald House H., Counties RC McMillan Equine H., 3d ARC Mufhasa S., L.
Mutual Gain. 4 wins from 1000m to 1650m, HK$2,159,562, HKJC Morse H.8, King's Park H.
I Do de Claire. 3 wins at 1000m, 1300m to 2016-17, WATC ISS P., 2d WATC Hahn Superdry H.